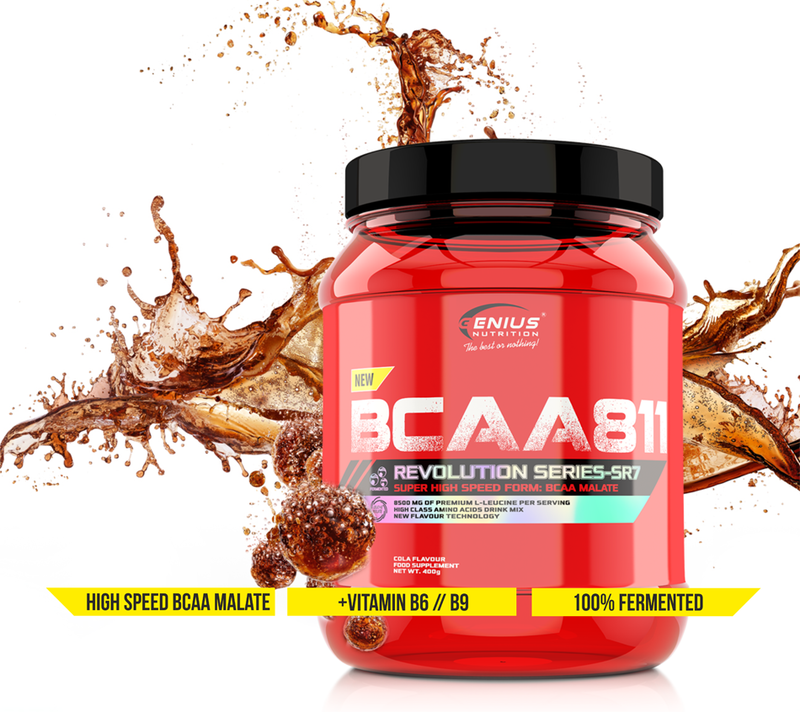 BCAA811 is unique super high speed BCAA malate with 8:1:1 ratio. 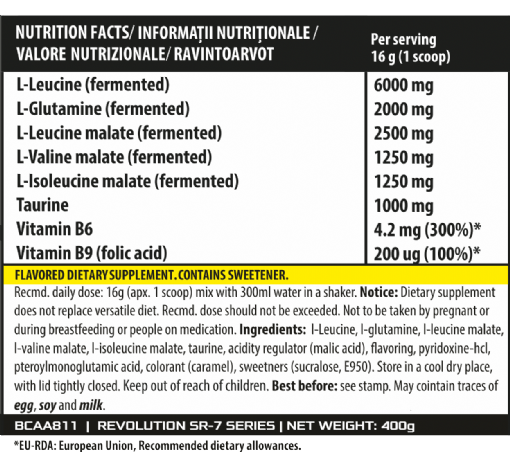 BCAA (l-leucine dl-malate, l-Isoleucine dl-malate, valine dl-malate). 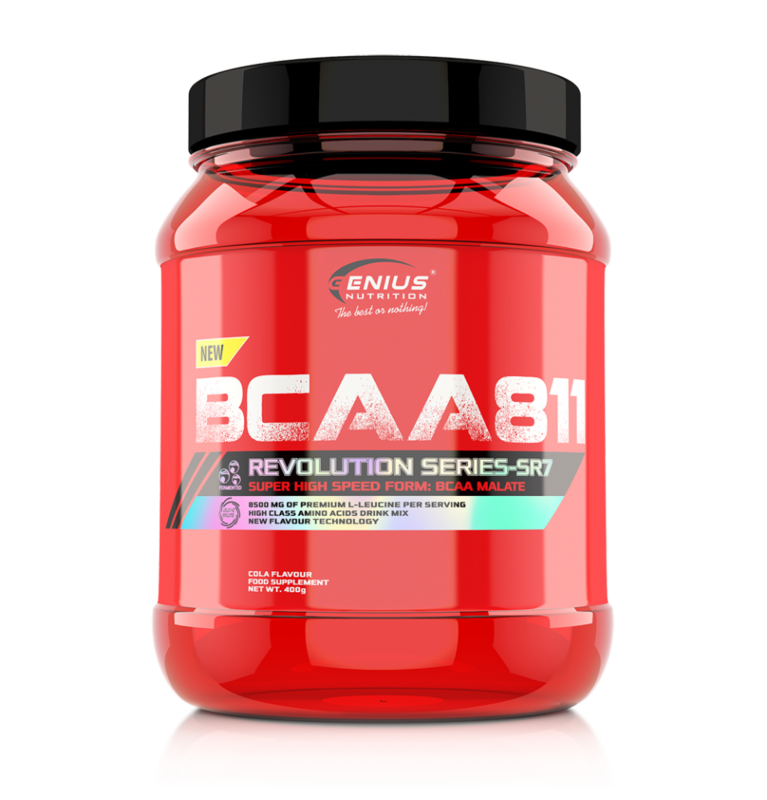 During exercises, the breakdown of BCAA Malate occurs faster than other amino acids and this is why is the best BCAA product you can take before/intra and post workout. Studies show that Leucine is responsible for muscle protein synthesis (MPS) and is the most ‘anabolic’ of amino acids. Iso-Leucine is responsible for glucose uptake in to the cells. Although not a lot of specific research has been conducted in to the role of Valine, current studies suggest its use within the body to be similar to that of Leucine, albeit in a weaker state. 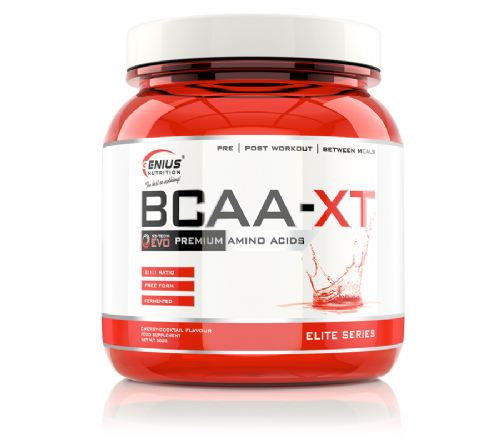 Taking BCAAs pre and intra-training will prevent a decline in blood-serum BCAA levels, therefore preventing potential tryptophan influx into the brain, which would in turn increase serotonin thereby leading to fatigue. As a result leucine has become the primary BCAA responsible for protein synthesis support to enable recovery and muscle building, this is why our product deliver to your muscle enough Leucine to generate efficient muscle building results. A series of studies on both trained and untrained individuals show that BCAAs are worth the time and money to reduce muscle soreness in response to both resistance and endurance exercise. A more recent study found that BCAAs have a synergistic effect when paired with the amino acid taurine. Untrained men took either a placebo, just taurine, just BCAAs. Then they did a muscle damaging eccentric workout. The group that took taurine and BCAAs experienced much less muscle damage and had less muscle pain over the 4-day recovery period after the workout than all of the other supplementation groups. Together, taurine and BCAAs convey three benefits: First, they improve the water content in muscle fibers, which leads to less muscle damage. Second, providing a greater pool of amino acids may improve sensitivity in the contractile part of the muscle fiber to calcium, while inhibiting the production of creatine kinase, a waste by product that accumulates and promotes the feeling of muscle fatigue. Third, taurine and the BCAAs decrease oxidative stress. Simply, this dynamic reduces the “garbage” produced during intense training, which means less muscle pain and faster recovery. Group B vitamins are critical for amino acid metabolism and can become depleted when you take high doses of the BCAAs. B vitamins are essential for everything from managing anxiety and cognition to energy metabolism and avoiding food cravings. Vitamin B6 is necessary for the production of an enzyme called Branched Chain Keto Acid Dehydrogenase (BCKAD), which is required for the body to effectively break down and utilize BCAAs. 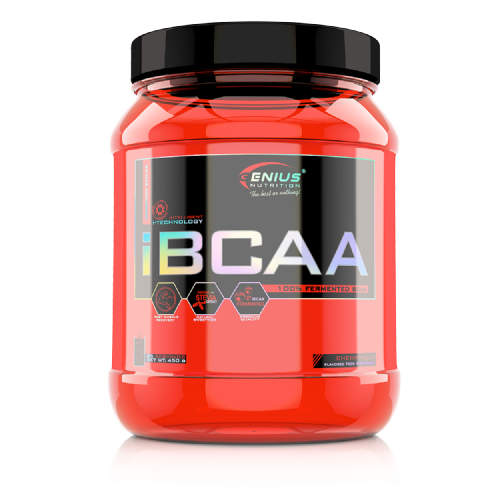 BCAAs are essential to rebuilding muscle, growth, and repair, prevent muscle damage, breakdown and soreness. In other words, getting branched-chain amino acids after a workout and getting enough before can help you recover better and more quickly with less discomfort. Our BCAA811 product is non-GMO and is manufactured via 100% fermented technology, completely water soluble and mix easily with a spoon. Consume 1-2 serving up to two times daily. For optimal use, take between meals, 30-45 minutes be.